Around 40 million people - more than 28 million in sub-Saharan Africa alone - are presently living with HIV or AIDS. Southern Africa has prevalence rates above 30% of the adult population in some countries. Intervention consult is actively engaged in the efforts to assess the scope of the epidemic in Southern Africa and in identifying appropriate measures to respond effectively. We have participated in fact finding and formulation missions to Mozambique and Zimbabwe and performed desk assessments of the situation in South Africa, Malawi and Burkina Faso. 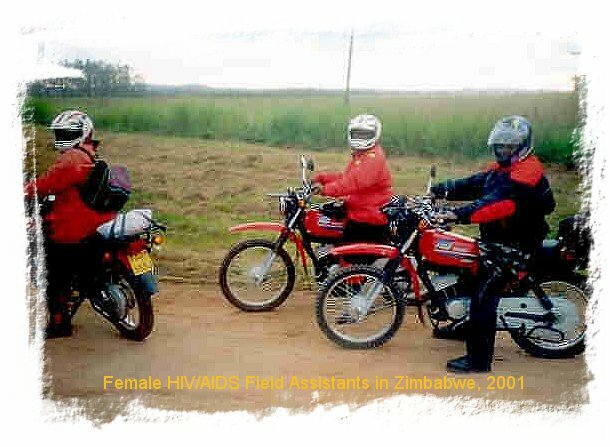 Further, intervention consult has participated in missions formulating HIV/AIDS activities in Danish support to the Agricultural sector in Malawi and evaluation of efforts to prevent further spread of the HIV/AIDS epidemic and mitigation of its effects in de-mining programmes in Mozambique. Finally, intervention consult has participated in the development of standard guidelines for HIV/AIDS assessments in countries supported by Danish aid.